Discover a paint that is nothing like anything you have ever seen before. Water-based colours that are a mash-up of watercolour and acrylic, they are bound to set your level of creativity soaring off the scale. 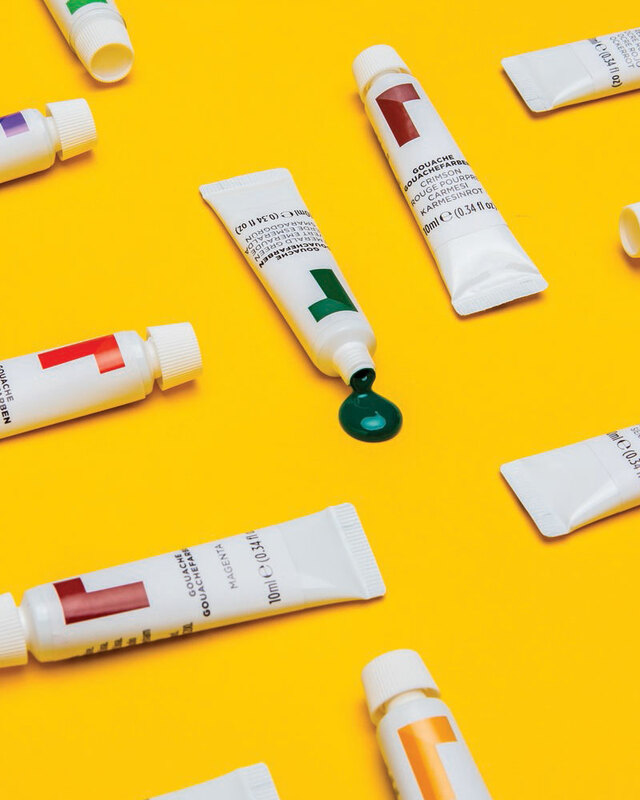 A well-kept secret for many years, brace yourself as this exceptional medium is unleashed and the power of gouache (pronounced ‘gwosh’) takes over the art world. At Reeves, we believe adding gouache paint to your craft box is an excellent way to grow your artistic knowledge and skills as well as opening up a whole new side to creative life that you never knew was possible. This diverse paint is comprised of many of the characteristics we adore in our other paints making it the perfect blend of properties and multi-functions – it is the paint you have always dreamed of. For both beginners and experienced painters alike, this is not a paint to be fearful of. It is a fun medium that should be enjoyed and explored with its many uses and the beauty which you can create with it. With a variety of subjects and brushes to use with gouache, your opportunity to grow with it as an artist is limitless. Getting to know gouache before you take it on as your newly chosen arty cohort will guide you on your journey towards making beautiful gouache art. Learning the composition of the paint and its background is important for all artists wishing to learn and cultivate their creative streak. Gouache paint is composed of a mixture of colour pigment, water and a binding agent which is usually gum Arabic or dextrin. Although it is similar to its cousin watercolour, gouache has a larger pigment ratio making it a heavier paint with a thicker texture. Its stunning matt finish makes it ideal for opaque methods of painting. Gouache is an extraordinary medium that expresses characteristics of watercolour and acrylic all while managing to hold its own and come out on top as a unique and impressive paint. It is typically diluted with water before being applied to a surface and similar to acrylic is rather dense. 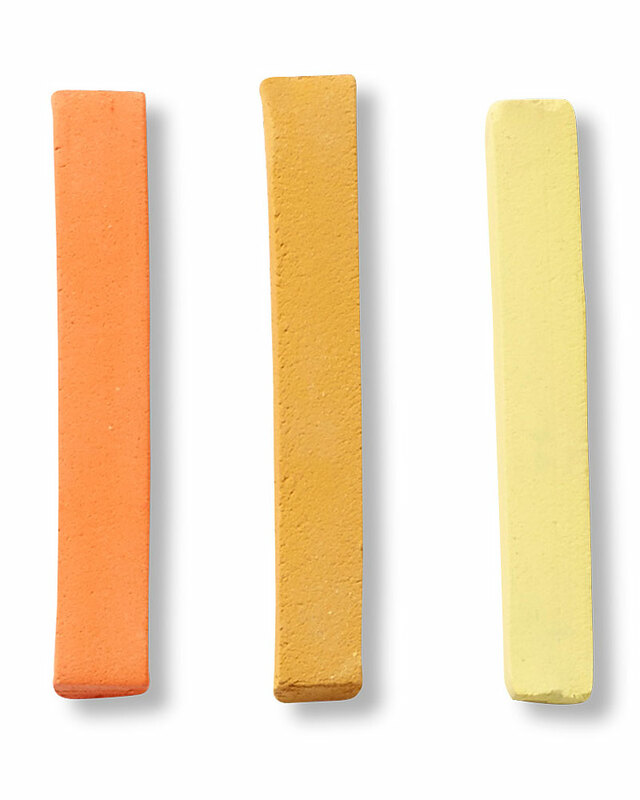 Dilution gives it a striking translucent appearance and it is a much tougher paint in terms of consistency. Be mindful of gouache’s drying tricks – when it comes to drying this paint is a speed racer, drying differently than it appears when wet so lighter colours tend to dry darker and darker colours dry lighter. Don’t be deceived by gouache, at first it may seem a slight challenge to match colours due to its unique drying characteristics, however, with plenty of practice and determination your brush will soon be making magic on the page, stroke after stroke. By adopting gouache as your new medium choice, you are unleashing the potential to unlock artistic skills you never knew you had as you improve as an artist and become even more inspired by this treasured art form. Gouache will make your art set burst with colour, excitement and the possibility to take your talent and passion higher than you have ever gone before. There are several techniques that can be applied to make the bold and beautiful colours of gouache pop off your page. 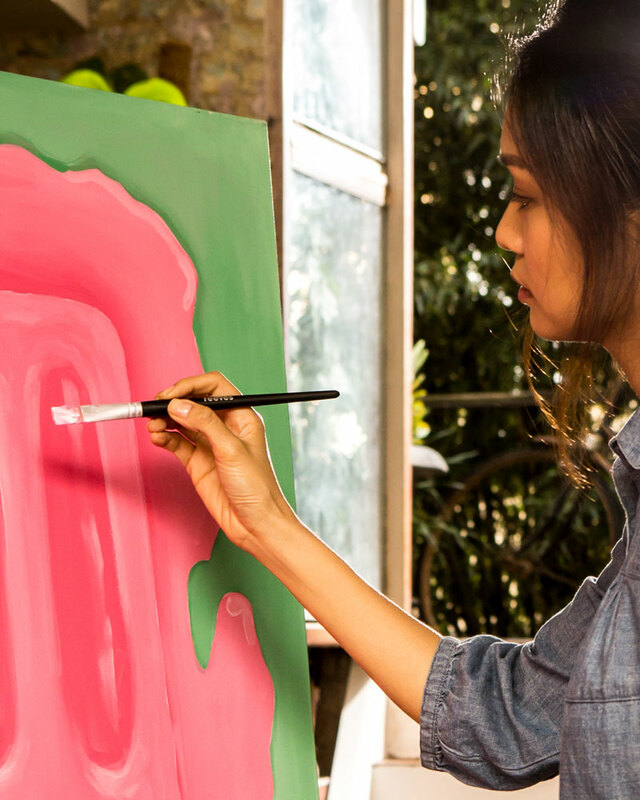 With gouache paint, your choice of surface ranges from paper to canvas to even cardboard. Use your imagination to think outside the craft box and explore other surfaces that gouache works well with. It’s time to start your gouache piece. So, where should we begin? We need a base to work from and the best way to do so is through staining; covering the area that you will create your masterpiece upon with watered down colour. With a wet brush and even strokes, you will have a beautiful foundation ready to build on in no time! Learn the technique of layering to make your painting explode with artistic flair and expertise. A couple of Reeves recommended methods are the use of opaque layers and dry brushing. Opaque layers are used to disguise hidden layers underneath. The power of layering works wonderfully and is a fantastic effect for the rich, vivacious paint that is gouache. Another layering method that works wonders is dry brushing. 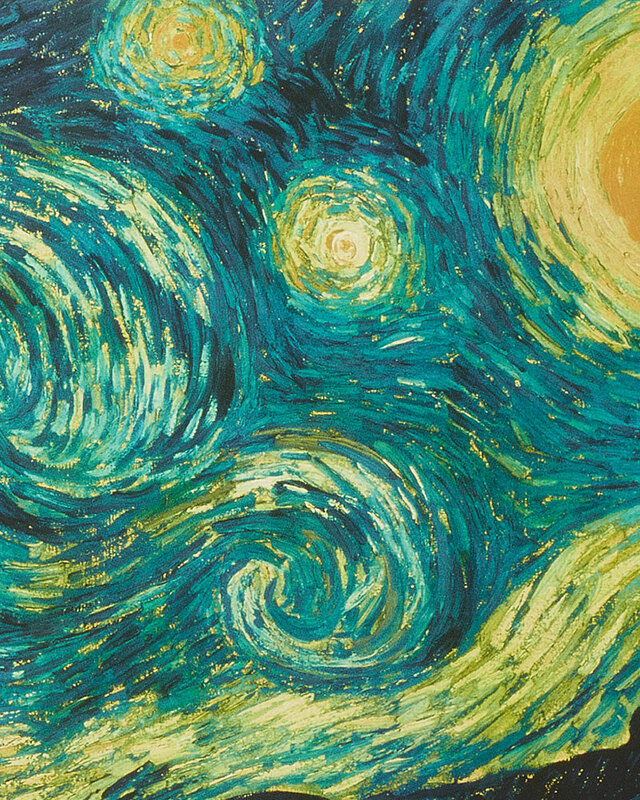 This technique preserves texture by using slight wet gouache. Get rid of the excess paint on your brush followed by applying quick applications to your surface with no water. Take your brush on a voyage of light swishes and swift strokes as the paper and brush work as a team to create a rugged and striking effect. Give your arty abilities a hazy twist with blurred brushstrokes. This incredible technique will make your painting jump off the paper as it blends your colours magnificently. Use your brush to mix the paint in your palette or for this technique even on your surface! Using blurred brushstrokes is a more laid back and free-handed way to blend and mix your colours which is great for a free-flowing easy-going painting and artist. Your piece will blossom with a medley of bursting colours when you use the blooms technique. This method is used to add in a base of colour that you can paint over. Because gouache paint is water-based you water it down to act just like its close relative – watercolour. Load up your brush with water and some paint then apply to your surface to witness the gouache cascade across the paper right before your eyes to create an amazing effect that will make the perfect masterpiece. Your brushes are the foundation of your piece, they are where it all begins. From the moment you dip your brush into your paint, you are on your way to creating something incredible. Your assortment of colours flow through the tips of the bristles and onto your surface as your hand produces a plethora of gorgeous shades and tones through each stroke and swoosh. As our brushes at Reeves are designed to perfectly accompany our paints we have the best brushes for gouache. 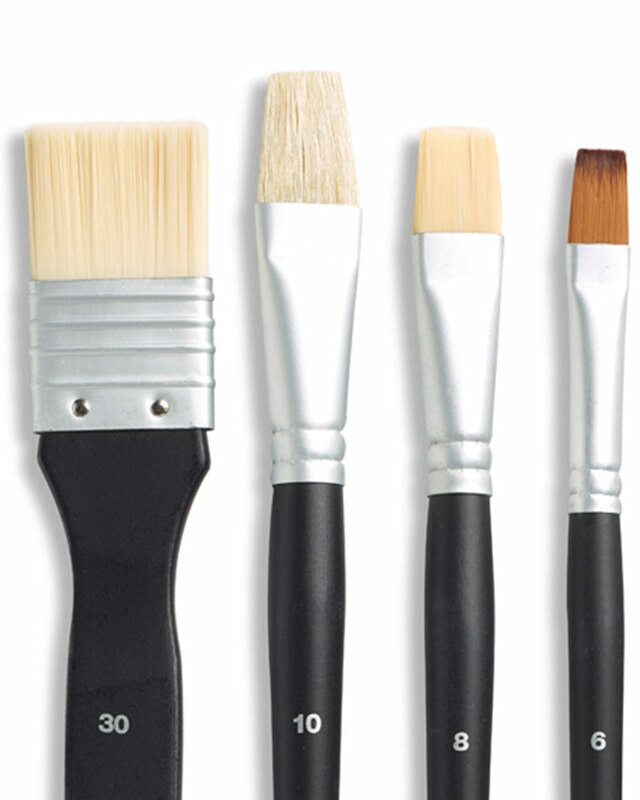 As a water-based paint, gouache’s best results come from using round or flat brushes. Achieve small details and broad strokes as these brushes take your inspiration to great heights. From medium choice to tools, Reeves are here to guide you every step of the way. Gouache has seemed to gain less popularity than its friends watercolour and acrylic. But don’t underestimate this versatile medium. Its diverse characteristics, intricate composition and prominent appearance will have you crazy about it. Its uses and the results you can achieve with it will inspire you to take your imagination far and wide to each end of your surface and beyond. Gouache is a truly remarkable paint that any artist of any level should experience as part of their arty expedition. So, buckle up, get set and prepare to enter a whole new world of paint through gouache.